AG13 Watch Batteries are replacement watch batteries for many of our lighted Halloween props. Compatible with products using LR44, 357A, CX44 and LR44W batteries. 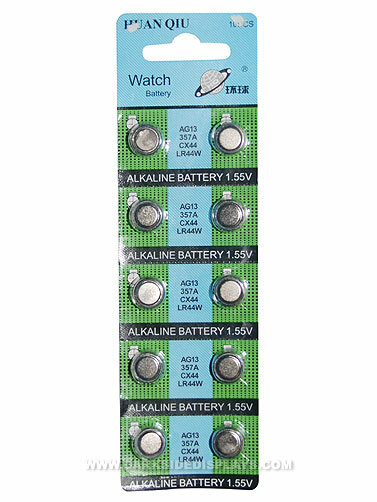 AG13 1.55V Alkaline Watch Batteries. Pack of 10.